Many factors affect color, including: resin, additives, texture, shape, lighting conditions, usage environment, processing conditions, and most of all human perception. 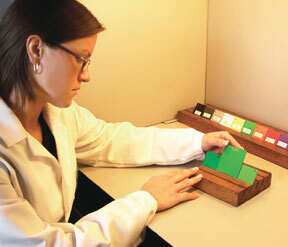 Additionally, regulatory compliance, such as UL or FDA guidelines, can impact the selection of pigments and dyes used to achieve an accurate color match. Addressing all these issues is not easy, that is why processors find it cost effective to work with the color experts at RTP Company. What type of application the color is intended for and how it is used aids colorists it determining what pigments are appropriate and which will result in the best match and remain consistent during environmental exposure. Some pigments are not compatible with all polymers and certain grades utilize processing parameters that can degrade many pigments. Knowing whether injection, blow, compression, or rotational molding or profile, sheet, film, or fiber extrusion will be deployed helps us determine if appropriate dispersion will occur. Knowledge of the material or parameters the color target is native to can boost our colorists’ confidence a quality match can be achieved. Whether an exact match, match & make, or straight shot is expected can impact what pigments or dyes are utilized to help control coloring costs. If the material needs to maintain transparency, translucency, or become opaque is an important factor in meeting a match criteria with many resin systems. How thick a part will be at various locations and still need to maintain the desired opacity, measurements can be provided in inches or millimeters. How a processor wants their color delivered, whether in masterbatch, cube blend, or precolored form. Meeting UL, NSF, FDA, CONEG (Council of Northeast Governors), California Proposition 65, EN 71 (European Norm), EU Food/BGA/LPF, heavy metal free, or cadmium free requirements can limit the selection of compatible pigments. If the color will be used in conjunction with reinforcement/fillers, UV stabilizers, anti-stats, flame retardants, antimicrobial additives, or require laser markability may impact the ability to obtain certain colors. If the application has cosmetic attributes, is an internal part, or simply requires color for identification purposes allows colorants to be chosen that maintain cost controls. Quality color matches can appear different when viewed under different lighting conditions, common sources for evaluation color are: D65 (artificial daylight), CWF (fluorescent), tungsten (incandescent), and UL2000. Calibration of different brands and models of color measuring equipment varies, common brands are: Gretag Mcbeth, Datacolor, ACS, Minolta, or XRite; typically models are either desktop or handheld units. If a color is going to me measured using instrumentation a numerical tolerance must be specified as the acceptable margin of error. If Delta E is used to determine match accuracy whether the CIE-LAB or CMC scale will be used must be known. Surface types can influence a match’s perceived successfulness, common textures that need to be identified include: glossy, matte, textured, moldtek, or VDI. If a colored part stands by itself, mates with parts made from the same or other materials—which may also be colored—or is attached to a substrate can impact the perception of a colors precision.